Yom Kippur went by amazingly well this year. Largely due to the fact that the kids took pity on me and cooperated by playing with their toys most of the day, with the occasional complaint which resolved rather quickly. Once the fast was over I looked for something that would replenish my depleted energy stores from fasting (also known as glycogen storage). So I broke my fast on these Roasted Za’atar Butternut Squash sticks. They were perfect for breaking the fast because they were not too heavy and are full of fiber-rich carbohydrates providing nutrient-dense energy. Aside from fiber they are also a good source of magnesium, potassium, vitamin C, and vitamin E, and an excellent source of vitamin A.
Za’atar is what gives this dish a distinct flavor. Za’atar is a middle eastern spice mixture of dried herbs. There are different variations but this mixture usually contains sesame seeds, dried sumac, oregano, and salt. 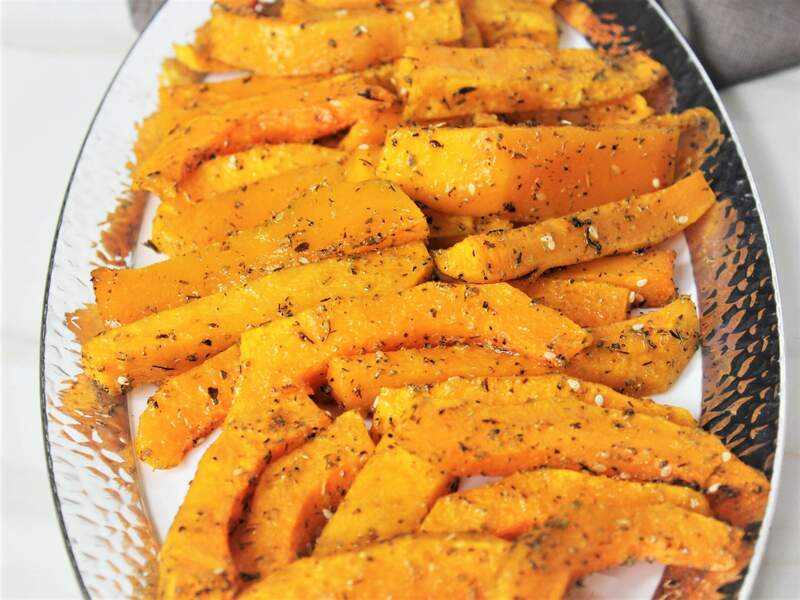 This super simple recipe makes a delicious and nutritious side dish for any meal. Peel the butternut squash, slice it lengthwise and clean out the seeds using a spoon. Using a sharp knife slice the squash into 1-inch sticks. 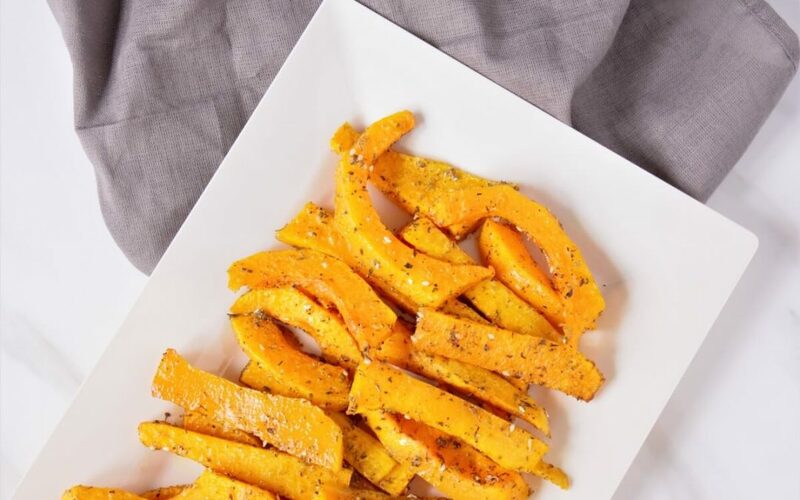 Place the squash in a large bowl and toss with olive oil, za’atar, salt, and garlic powder. Spread the squash on a baking sheet lined with parchment paper, place in oven and bake for 30 minutes. Remove from oven, allow it to cool 10 minutes, and enjoy.